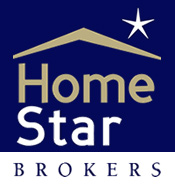 HomeStar Brokers - Rent vs Own? With rents going up, many people are deciding between continuing to rent, or purchasing a home. Some are still saddled with poor credit from the economic turndown but those feeling buyer confidence are feeling the squeeze put on by increasing rents. Portland Oregon is seeing a 20%+ increase. The Salem area has not experienced that high of an increase but local renters will tell you the increase can definitely be felt and is trending in that direction. With home prices continuing to rise in this area and speculation of rate increases many current renters may make the move to home ownership sooner rather than later. Our friendly team of brokers bring a vast wealth of experience and individual specialties to fit your real estate needs. We specialize in homes for sale, investment properties, new construction, luxury homes, resales, acreage properties, equestrian properties and property management. Let one of our experienced agents help you determine if it’s time to buy!